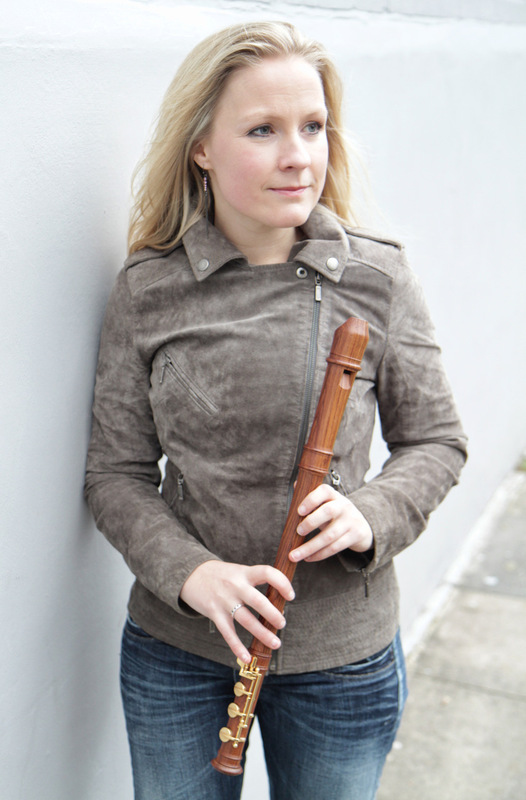 Recorder player Jill Kemp's new disc Aztec Dances is programme of contemporary music recorded with pianist Aleksander Szram. The disc features music for recorder and piano by Edward Gregson, Gregory Rose, David Bedford, George King and Daryl Runswick all of which except the Gregson was written for her. I met up with Jill to find out more about the disc and to talk about working with contemporary composers, mixing the recorder with the piano, and her support for the music academy at Keiskamma in South Africa. Jill has always enjoyed playing new pieces. When she and Aleksander Szram recorded their disc of 20th century recorder pieces English Recorder Works, they noticed how many of them had been commissioned by Carl Dolmetsch so they decided to do something for contemporary recorder repertoire and hence their new disc has four pieces which were written specifically for Jill and Aleksander. There is a lot of good contemporary recorder music for recorder solo and recorder ensemble, but not so much for recorder and piano. Part of this, Jill thinks, is because the two instruments are so very different, which means there are difficulties (in fact many of the pieces commissioned by Carl Dolmetsch were for recorder and harpsichord). But when playing contemporary repertoire, Jill plays a modern recorded which is louder than the older instruments and has an extended range. She and Aleksander Szram have formed a duo since 2007, and she describes Aleksander as a very sensitive player which helps in this repertoire. The pieces written for Jill came about in a variety of ways. She was playing David Bedford's Recorder Concerto and he commented that he had to write something for Jill. She didn't commission him, but suddenly he wrote her a piece which she describes as 'an amazing gift'. She premiered it just two weeks after he died and it was one of the last piece that he wrote. Aleksander had worked with both Gregory Rose and Darryl Runswick, in fact they knew each other through Trinity Laban. Whilst David Bedford had obviously written for recorder before, the pieces written by Gregory Rose and by Darryl Runswick were the first works for solo recorder each composer had written. Darryl Runswick evidently plays the recorder a bit, and when Jill went over to his house to try out his new piece, Runswick brought out his recorder to demonstrate. In fact, this is one of the beauties of working with living composers, the opportunity to work with them on the piece. Gregory Rose had little experience of writing for the recorder, but Jill feels his piece worked well and it helped being able to work with him on it. 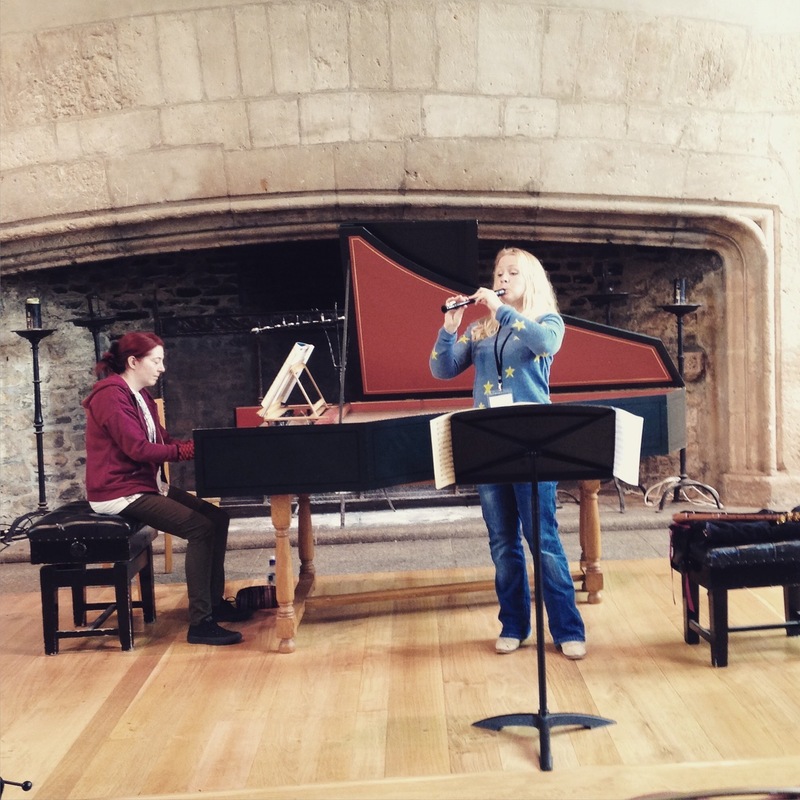 Rose's piece was partly commissioned by the festival Music in Leasowes Bank, and after the composer heard Jill perform the work he changed it, having heard what she could do in the more virtuosic pieces she included in the same recital. George King was the youngest composer on the disc. He and Jill both won a competition in Italy, and part of the prize was a group of concerts in America and his main experience of the recorder was hearing Jill playing in America on the concert tour. George King is a jazz pianist and composer, and Jill feels that their worlds are so very different, yet the piece works well. Almost bringing the idea full circle, Jill Kemp premiered David Bedford and George King's pieces at a festival at the Royal Northern College of Music which was celebrating Carl Dolmetsch. The only piece on Aztec Dances not written for Jill is the title track, Edward Gregson's Aztec Dances. This was written for Chris Orton, who premiered it at the Bridgewater Hall in Manchester in 2010. and Jill heard Chris Orton playing it at the RNCM Carl Dolmetsch festival. She describes it as a really earthy piece (not an adjective you normally associate with the recorder) and quite dramatic, including moments such as a sacrifical dance, passages at the very top end of the recorder range, and even spoken passages. These latter have to be done into the piano, to take advantage of the piano resonance and Jill comments that when she heard the recording played back she felt she sounded like Lady Macbeth! It is also a taxing piece, what Jill calls 'a big blow'. 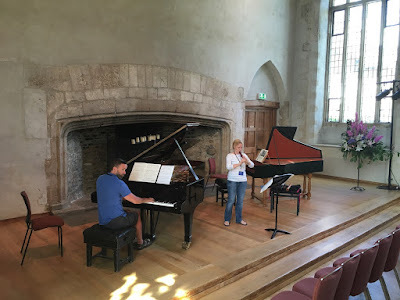 She played it at Dartington last year in a programme with Bach pieces with harpsichord accompaniment, and afterwards it felt like she had had a big workout. Jill likes performing a mix of works in concert programmes, both old and new pieces. But it is only at places like Dartington International Summer School and Festival that she can play older pieces on the harpsichord, and newer ones on the piano, when touring programmes she needs to use a piano and finds that with sensitive programming this can work. She feel that Bach works well with recorder and piano. Of course, this needs a sensitive player, one who can play the music quietly without it seeming that something is missing. When performing with harpsichord she plays at low pitch (415 Hz), and using different temperaments, on handmade instruments which are completely different to the modern ones she uses for contemporary repertoire. At Dartington this summer she will be performing Luciano Berio's Gesti (one of the pieces written for Frans Bruggen) which she describes as being like one of the Sequenzas. In Gesti Berio splits up the three elements of recording playing, breath, tongue and fingers, and treats them independently. When learning it, Jill started to look at the music away from her recorder but realised she needed the recorder too, to make sense of it. It is not a piece to be learned quickly. Jill is lively and charming company, and it is clear from her infectious enthusiasm that recorder playing is central to her life. When I asked why she played the recorder her response was simple, 'because I love it'. She started at the age of four; her mother was a piano teacher and gave the young Jill a recorder to keep her occupied. When she was eight she heard the Danish recorder virtuoso Michala Petri playing and Jill's response was ' I want to do that'. By the time she was twelve Jill was having lessons with Michela Petri; she only had three or four lessons with her per year, but they lasted three or four hours and Jill's mother took copious notes. Jill loves the sound of Michala Petri's playing and feels that Petri makes a unique sound. Jill has also had lessons with Piers Adams (from Red Priest) and she describes the two - Petri and Adams - as completely different, he extrovert and she focused. Jill did play the flute whilst at school, so that she could play in the school orchestra, and she also plays the piano and has done a lot of singing (at one point working as an actor/musician), but it is clear that the recorder remains Jill's focus and passion. She sees so much going on in the recorder world at the moment, with so many talented young players. Jill feels that the recorder fell out of fashion after the Renaissance and Baroque periods, so that the instrument never developed further, though it is doing now (we have a diversion in our conversation about the Paetzold recorders which I heard BLOCK4 play at the London Handel showcase, see my review). But it is still a slow burn, and Jill thinks that you only have to look at the things Frans Bruggen was doing when he was young recorder player to realise that recorder playing and composition is only developing slowly. Not only did Berio write Gesti for Bruggen, but Louis Andriessen wrote Sweet for him, a work which Jill describes as very difficult, impossible! Jill and Aleksander will be performing the works from the album at the 1901 Arts Club on 24 March 2017 at the launch of the Aztec Dances CD. And, Jill has another premiere, she performed Stephanie Cant's new piece for recorder, soprano, glockenspiel, piano and strings on 3 March in Brighton and is repeating it on 28 October 2017 at St James's Church, Piccadilly. Jill and Aleksander are also giving some fundraising concerts for the music academy in Keiskamma in South Africa. Jill describes it as an amazing place. She went out there to give concerts and masterclasses and was struck by the children's energy and enthusiasm (she describes them as 'fired up') despite the school not having tables and chairs, and having rooms where the roofs are crumbling. 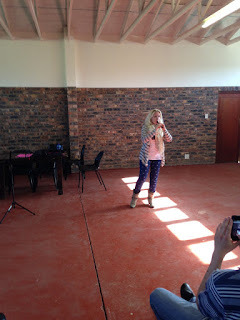 Jill hopes that her UK concerts will not only raise much needed funds, but will also raise Keiskamma's profile in the UK. The concerts are on 6 May at Sophie’s Barn, Chacombe, Oxfordshire and on 20 May at Lauderdale House, London. She will be teaching at Dartington again this summer. 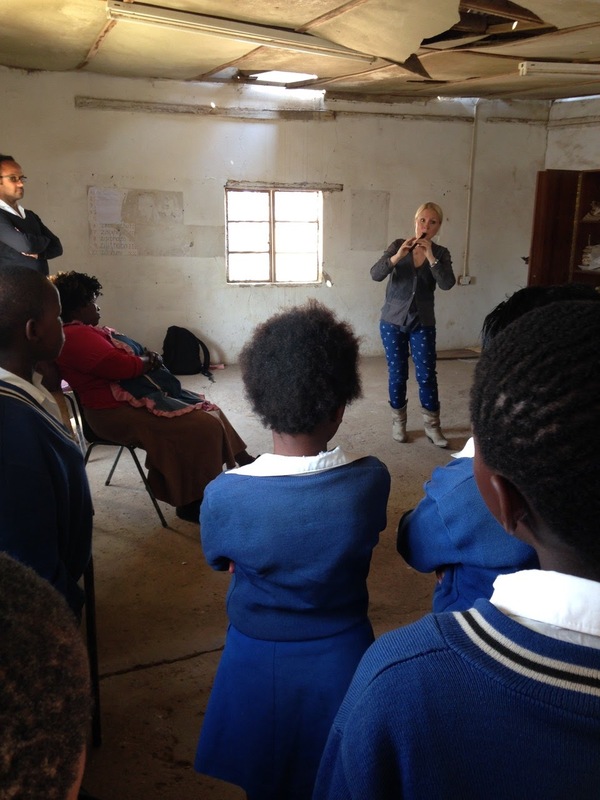 She has taught there since 2008 and loves the summer school's atmosphere with its mix of young students (some as young as 14 or 15), college graduates and older amateurs. Teaching and encouraging others to play the recorder is another theme which crops up regularly in our discussion. 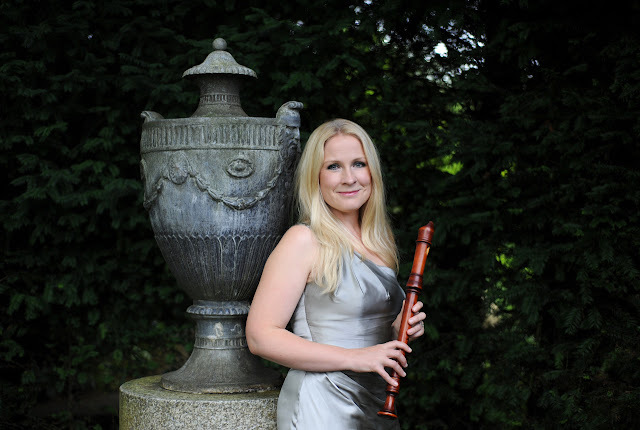 Jill goes into schools to perform for young recorder players, feeling that if she had not heard Michala Petri she would not have taken up the recorder seriously and so wanting to give other young players the possibility. But, she found that there was a problem that children in some schools were taught by people who cannot play the recorder, and she saw children developing bad playing habits. So she is developing Recorder Revolution, where her new website will be providing resources including videos to help people get it right from the start. Full details of Jill Kemp's forthcoming concerts from her website.